1. If you can use the silk scarf without using hot, you can use it directly. I believe that the frequency of use will be greatly increased. Here, I will introduce you to four collection methods that are not easy to produce creases and are easy to find and occupy no space. Try it out according to your actual needs. (1) The hangers for hanging suit pants can be used to fold the silk scarves into a state that can be used immediately, and are fixed by clips, which is very convenient to take. (2) Using a small collection drawer made of cardboard, a product with a width of about 30 cm can be selected, and the 1/4 of the scarf can be folded and folded. (3) Hang a plurality of folded silk scarves on the hanger and fix them with clothespins. If the clothespins leave marks on the silk scarves, thick paper can be sandwiched between the clips and the scarves. (4) Fold the silk scarf into a 1/4 size and put it into a folder with multiple layers of inner layers. When the folder is placed flat, it will not produce creases and it will be clear at a glance. Since the use of silk scarves is not limited by seasons, the collection time is relatively short. If it is a collection for a long time, the following two methods can be used: The first is to use the core of the wrap film to roll the folded silk scarf on the core of the wrap film, which does not occupy space and prevents creases. The second is to use the storage bag of the laundry, and to protect the dust from the laundry bag on the scarf and shawl hanging on the hanger. 2. 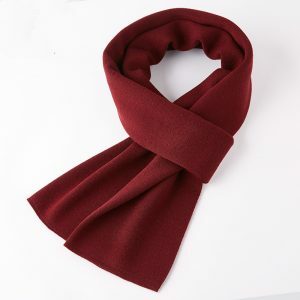 How to save the scarf shawl for a long time to eliminate the hanging spike knot method — must first open the hanging ear and then collect: in the collection of shawls and scarves, etc. must first open the hanging ears, but can not be pulled up, can be thicker Comb the comb and open the ear and straighten the hanging spike with the steam of the steam iron. Shawl Collection Method—Wrap the hanging spikes with aluminum foil paper: When the shawls are taken out of the closet every winter to the winter, is it often that the hanging spikes are bent and folded, and how can the ironing be eliminated? It is recommended that you keep the hanging ears in a long-term collection and wrap them in aluminum foil. Scarf Collection Method—Wrap it with tissue paper to prevent aliasing: After combing the hanging ear portion, fold it to the inside and carefully wrap the scarf with a well-ventilated tissue paper to prevent the hanging spike from knotting. 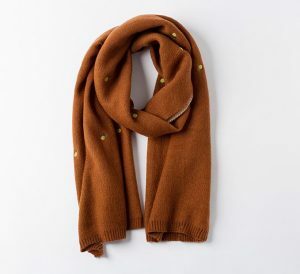 Anti-mildew, otherwise I will see the unrecognizable scarf when I use it in the second year. It is too late to regret it. The scarf brings many memories of the fall, the woolen weaves a warm-hearted love, and of course, there is a beautiful autumn silk street. The symbol of the scarf family is the temperament of the elegant elegance, whether it is a silk scarf or a long scarf can be very delicate. Wrap, and therefore tenderness; close to the neck, so charming. In the fall, we can embrace the scarf as much as we can. In the autumn that is not cold, facing the autumn wind, the scarf is only symbolically resisting and pretending to be wrapped. Some people say that people who like scarves have a little narcissism. It is because the face wearing a scarf is more clear, and it can better adjust the perfect face or set off the makeup, so only those who love themselves can wear the beauty of the scarf. Even in the chilly autumn, you should wear sleeveless, collarless shirts, and use a scarf to match the dress, which is the hot spot for people in this autumn fashion. As long as you surround the colorful, soft and warm scarf, you can not only drive away the coolness but also write the different styles of the scarf. Whether it’s cool, or gentle, the magic of a scarf is so magical. 1. Cashmere products are made of a precious cashmere material. Because cashmere is light, soft, warm and slippery, household washing is best done by hand alone (do not mix with other clothes); Color cashmere products should not be washed together to avoid staining. 2. Record the size of the cashmere products before washing. Cashmere products with coffee, juice and blood stains should be sent to a special dyeing shop for washing. 3, soak in cold water for 5 to 10 minutes before washing (Jarquin or multi-color cashmere products should not be soaked), while dip and use your hands to squeeze gently in the water. The purpose of soaking and squeezing is to remove the dirt adhering to the inside of the cashmere from the fiber and into the water, and the other part of the dirt is wet and loose. After soaking, gently squeeze out the water with both hands, then put it in a neutral washing solution of about 35 °C and soak it with both hands. Do not wash it with hot soap. Do not wash it with water. Do not use alkaline. Wash the washing powder, otherwise, there will be a velvet felt and deformation. When washing cashmere products at home, it can be washed with shampoo. Because cashmere fiber is a protein fiber, it is afraid of alkaline detergents, and shampoos are mostly “mild” type neutral detergents. 4. Washed cashmere products need to be “peracid” (soaked cashmere products are soaked in a proper amount of glacial acetic acid solution) to neutralize the soapy liquor remaining in the cashmere to improve the gloss of the fabric. For protection, in the “peracid” procedure, if there is no glacial acetic acid, you can use white vinegar instead, but you need to use water once after peracid. 5. After rinsing with water at about 30 °C, the softener can be placed according to the instructions, and the hand feel will be better. 6. Extrude the water in the washed cashmere product and put it into a net bag to dehydrate in the dewatering cylinder of the washing machine. 7. Spread the dehydrated cashmere sweater on the table covered with a towel, use the ruler to measure the original size, and organize it into a prototype dry and dry, avoid hanging exposure. 7. After drying in the shade, use medium temperature (about 140 °C) steam ironing to iron, iron and cashmere products leave a distance of 0.5 ~ 1 cm, should not be pressed on top, such as other irons must be padded wet towels. If you want to learn more,please click the website of scarf supplier.